When considering where to put one’s money for safekeeping, the list of bank and credit union options seems endless. 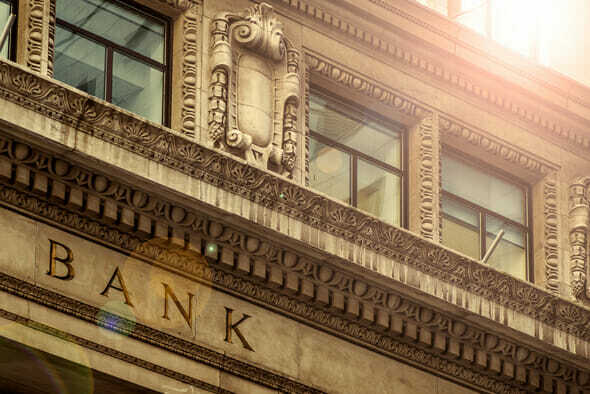 There are small local and regional financial institutions that can be entrusted with your hard-earned cash, of course, but for full service and far-reaching banking, the biggest national banks reign supreme. According to the Federal Reserve, these 10 financial institutions are the biggest banks in the United States by assets held. Below is our top 10 banks in America. The largest bank in the country and the sixth-largest in the world, the Federal Reserve reports JPMorgan-Chase as holding close to $2 trillion in worldwide assets as of the end of last year. This makes it number one on our list of top 10 banks. The company is the result of the 2000 merger of two much-older banks, J.P. Morgan and Company and Chase Manhattan Corporation. While the J.P. Morgan name is used for investment banking and private wealth management, the bank provides retail and commercial bank services as Chase. The financial titan of the 19th century, John Pierpont Morgan, is the namesake of the company and was the founder of the original J.P. Morgan Bank, but early American politician and notorious duelist Aaron Burr was one of the creators of Chase Manhattan. The House of Morgan brought in $96.6 billion in revenue last year despite controversies and legal woes over alleged energy price fixing and negligence during the Bernard Madoff scandal, that resulted in billions in fines paid. The presence of Bank of America‘s headquarters in Charlotte, North Carolina singlehandedly makes that city one of the biggest financial centers in the country. Though it is not the largest bank, this company is in fact the world’s largest wealth management firm, because it owns Merrill Lynch, a giant in that field. Bank of America has about 50 million retail banking customers, but it had quite humble beginnings. It started with a small institution serving immigrants in San Francisco at the beginning of the 1900s, that was, oddly enough, called the Bank of Italy. Bank of America briefly ventured into finance in China with acquisition of a stake in Chinese Construction Bank, that it later sold off. The company has made efforts to keep its headquarters in Charlotte and New York eco-friendly and LEED certified, but also has been accused of mortgage fraud in a number of lawsuits since 2010. Wells Fargo has long been associated with San Francisco, where it’s still headquartered, as it was formed to capitalize on the Gold Rush by two Northeasterners. In terms of one measure – market capitalization – Wells Fargo is the biggest bank in the world, though it has fought China’s Industrial and Commercial Bank for that title back and forth over the past few years. Wells Fargo holds the oldest continuously operating bank charter in the United States, which was originally granted to the First National Bank of Philadelphia. Wells Fargo pays the largest sum of corporate taxes of any US company each year, but has been accused of tax avoidance practices. A pioneer of both the credit card industry and automated teller machines, Citi Bank – formerly the City Bank of New York – was regarded as an East Coast equivalent to Wells Fargo during the 19th century when both banks were purely regional. Citi was also the first United States bank to open a banking office in a foreign country, having expanded to Argentina in 1914. Nowadays only 26 percent of Citi’s branch offices are in the United States, though they generate 51 percent of the bank’s revenue. The current US Bancorp (which includes U.S. Bank) is the result of the combination of major regional banks from the West and Midwest. The company holds $389 billion in assets, as well as $250 billion in deposits, from 16 million customers. Banks were prohibited by law from using “United States” in their names in 1913, and US Bancorp was among the last firms to be allowed to do so, having appended the phrase to its name the previous year. The Bank of New York was founded in 1784 by none other than the very first Secretary of the Treasury, Alexander Hamilton. Bank of New York Mellon is the direct successor organization of that firm, after having merged with T. Mellon and Sons, a Pittsburgh institution that financed the steel and fuel industries. This long history makes it the oldest banking corporation in the country. It holds $27.9 trillion in assets under custody, so it is the world’s largest custodian bank catering to other financial institutions. Additionally, it has a subisidiary that provides investment management services, BNY Mellon Wealth Management. Boston’s State Street Corporation originated as a shipping financing firm. It still does business that is similar in spirit, focusing on global banking services and investment management to overseas institutional investors. State Street was involved in a landmark court case in 1998 that found a computer algorithm can be patented in the US. Capital One is primarily a retail banking operation, providing largely credit cards, auto loans and home loans in addition to checking and savings services. Originally a pure credit card company, Capital One expanded into banking in earnest in 2005. Early in 2014 Capital One was criticized for changing its customer terms of service to allow the bank to contact customers in any manner it chose, including deliberately deceiving them with fake phone caller IDs. The final institution in our top 10 bank list isn’t actually headquartered in the United States; the Toronto-Dominion Bank is quite naturally based in Toronto, Ontario, Canada. Over 22 million people worldwide are TD Bank clients, mostly in the US and Canada. TD has branches in quite remote locations, including Canada’s Northwest Territories and the Yukon. If you have financial questions besides the top banks, SmartAsset can help. So many people reached out to us saying they wanted help with financial planning, that we built a tool to match you with a financial advisor who can meet your needs. First you answer a series of questions about your situation and your goals. Then the program narrows down thousands of advisors to three fiduciaries who meet your needs. You can read their profiles to learn more about them, interview them on the phone or in person and choose who to work with in the future. This allows you to find a good fit while doing much of the hard work for you.